After governating the State of California, Arnold “Ahhhnuld” Schwarzenegger is back in the movie business. And while his role with Sylvester Stallone, Jason Statham and others is hotly anticipated in the upcoming action film Expendables 2, the 65-year-old and former Mr. Universe has another movie not too far down the road. And it features the Chevrolet Camaro ZL1 and Corvette ZR1. That’s right, Arnold’s muscles, and muscle cars. Need we say more? While we’ve mentioned the upcoming movie here on GM Authority already, there wasn’t a trailer to include previously. That’s no longer the case, as you’ll see just below. 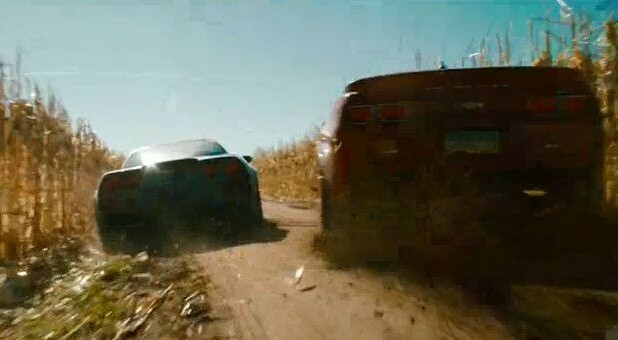 In it are quick clips of a chase scene in what appears to be the middle of nowhere, with the range-topping Camaro and Corvette trading paint in a cornfield. Ahhhuld is driving the Camaro. There’s an Escalade or two in the mix as well. Would have been on the must see list anyway because this is just my kind of movie, but add a ZR1/Camaro car chase, and it shoots to #1!